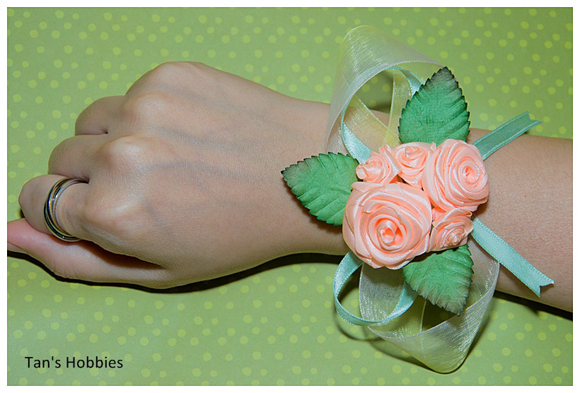 Today I want to share my Wrist Corsage creation. What Material is used to make Wrist Corsages? Bought 4 types of satin ribbon from Daiso: 2 peach ribbons with different size, 1 light green small ribbon and 1 transparent peach mixed yellow ribbon (@S$2.00 each), 1 packet of leave from Popular (so sorry, I forget how much I bought it), UHU and scissor. 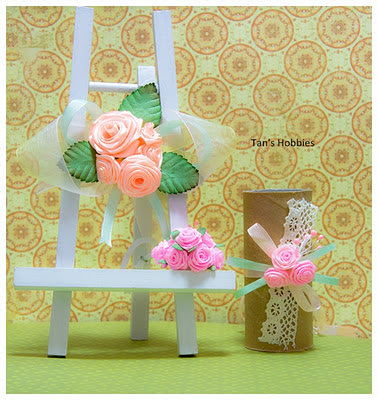 How to make the Rose? 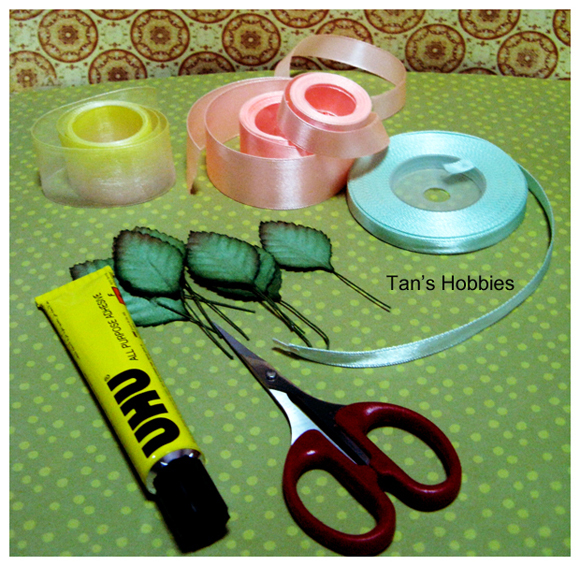 Since this month is a Christmas, I personally want to give something special to my precious reader in Singapore :) I made 2 simple Peach coloured Ribbon Rose - Wrist Corsages to give away. 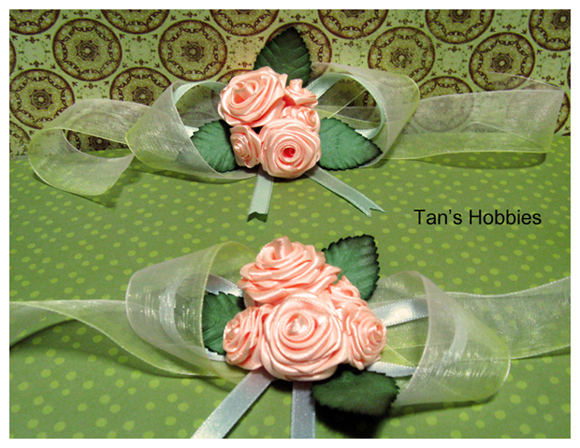 Leave a comment on this (Peach Coloured Ribbon Rose - Wrist Corsages) post. I'll choose 1 winner randomly and announce the name here on Thursday, 22 December 2011. The winner could meet me at Eunos MRT to collect the Wrist Corsages (after working hours, of course). All the Best and Have a Great Day!! It's a beautiful corsages! I wish I could have that corsages for my wedding.